Nice and quietsubmitted by Deborah C. - Apr 11, 2018 |Recommended: YesI like how quiet and well kept these apartments are. Great place to livesubmitted by Ashley H. - Apr 01, 2018 |Recommended: YesEveryone is friendly when you see them. The office staff is friendly and is very helpful. They work hard to remember everyone when you walk in the office. Best Apt Yetsubmitted by Emmy T. - Mar 19, 2018 |Recommended: YesI have lived in several apartments here in Springfield, MO, but this is the best one yet We can't really find anything wrong. 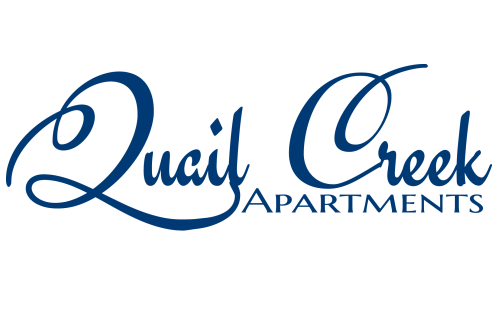 My experiencesubmitted by Joe G. - Mar 04, 2018 |Recommended: YesWe enjoyed living at Quail Creek Apts. Nice place and well kept. Good Move submitted by Linda H. - Jan 24, 2018 |Recommended: YesI moved in on September 1st, 2017 and couldn't be happier. I reached an age where I didn't need the hassle of owning a home. So I sold my house and became a renter again after many, many years. I did a lot of research and visited several places, so glad I came here. I'm an old hippie so I need to say I got good vibes that help me land here. My apartment is in an awesome place. The management is fantastic, friendly and great about receiving the prime packages in the office. I appreciate the fact that the complex is quiet and everyone I've met seems friendly. Parking is ample and I've had no problem parking near my apartment. I had also placed this review on Yelp. This is our 2nd apartment together and we love itsubmitted by Robert S. - Nov 02, 2017 |Recommended: YesOur prior experience is from the Everett, WA area so based upon that we find our apartment spacious, extremely well laid out, and extremely reasonable in cost. At this point we expect to stay here for an extended period of time. We are accustom to covered parking but noted that it is rare in this area. We have 2 cars and have no problem parking close to our apartment and within view of our balcony. We often sit on our balcony and just feel the warmth of the morning sun, exchange greetings with other residents and basically enjoy our surroundings. It is a nice quiet place to live. Great management, Property well maintained. submitted by Jared L. - Sep 27, 2017 |Recommended: YesAmazing management team. Always helpful. Property is very well maintained and any repairs or maintenance issues are always addressed in a timely fashion. Compared to the last property management team I rented from, this is a top notch company. Very spacious and beautiful apartments.submitted by Mikayla L. - Sep 02, 2017 |Recommended: YesThe rooms are big and the appliances are nice. The conplex is well layed out and the staff is helpful. I love living here. Friendly and Safesubmitted by Jordan R. - Jul 26, 2017 |Recommended: YesI was very nervous to be on my own for the first time and was so glad when I found this place. It was very clean and in a safe area where I am not worried about living alone. Great place to livesubmitted by Kayla S. - Jul 20, 2017 |Recommended: YesI would advise them that this is a great community, nice apartments. I like the propertysubmitted by Shelley C. - Jun 15, 2017 |Recommended: YesThat it is a great place to live. Very well kept, and very helpful staff.